This is the first in a three-part series. Time on the Hubble Space Telescope is a precious commodity. As a space telescope, Hubble can observe 24 hours a day, but its advantageous perch also attracts a large number of astronomers who want to use it. The current oversubscription rate—the amount of time requested versus time awarded—is six to one. The process of observing with Hubble begins with the annual Call for Proposals issued by the Space Telescope Science Institute to the astronomical community. Astronomers worldwide are given approximately two months to submit a Phase I proposal that makes a scientific case for using the telescope. Scientists typically request the amount of telescope time they desire in orbits. It takes 96 minutes for the telescope to make one trip around the Earth, but because the Earth usually blocks the target for part of the orbit, typical observing time is only about 55 minutes per orbit. Longer observations require a more compelling justification since only a limited number of orbits are available. Winning proposals must be well reasoned and address a significant astronomical question or issue. Potential users must also show that they can only accomplish their observations with Hubble ’s unique capabilities and cannot achieve similar results with a ground-based observatory. The Institute assembles a time allocation committee (TAC), comprising experts from the astronomical community, to determine which proposals will receive observing time. The committee is subdivided into panels that review the proposals submitted within a particular astronomical category. Sample categories include stellar populations, solar system objects, and cosmology. The committee organizers take care to safeguard the process from conflicts of interest, as many of the panel members are likely to have submitted, or to be a co-investigator, on their own proposals. 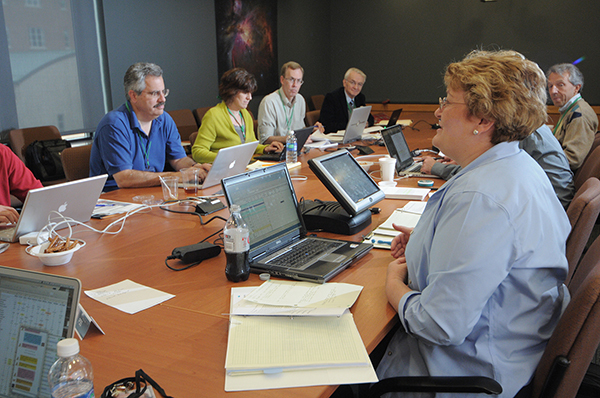 The time allocation committee (TAC) discusses which proposals will receive observing time on Hubble. Proposals are further identified as general observer (GO), which range in size from a single orbit to several hundred, or snapshot, which require only 45 minutes or less of telescope time. Snapshots are used to fill in gaps within Hubble ’s observing schedule that cannot be filled by general observer programs. Once the committee has reviewed the proposals and voted on them, it provides a recommended list to the Institute director for final approval. In my next post, I will discuss how observations are planned. 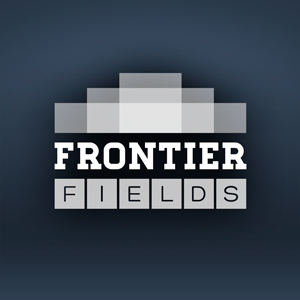 Frontier Fields draws on the power of massive clusters of galaxies to unleash the full potential of the Hubble Space Telescope. The gravity of these clusters warps and magnifies the faint light of the distant galaxies behind them. Hubble captures the boosted light, revealing the farthest galaxies humanity has ever encountered, and giving us a glimpse of the cosmos to be unveiled by the James Webb Space Telescope. This blog is a product of Space Telescope Science Institute, center of science operations for the Hubble Space Telescope.